Quang Ninh (VNA) – The northern coastal province of Quang Ninh welcomed 9.2 million tourists during the first eight months of this year, up 25 percent year-on-year and completing 77 percent of its target for the whole year. The provincial Department of Tourism reported that the number of international holidaymakers to the locality exceeded 3.2 million, a rise of 18 percent against the same period last year, and fulfilling 65 percent of the yearly target. During the period, the local tourism sector completed 73 percent of the yearly target, earning more than 16 trillion VND (685 million USD), up 29 percent year-on-year. To gain such achievements, Quang Ninh has stepped up communication works in order to promote local tourism, while also intensifying its inspection of tourism services across the province. Competent local authorities will scale up efforts to monitor the tourism business environment, increase tourism promotion, and pay attention to special and attractive tourism products for time to come. In 2017, Quang Ninh received 9.87 million tourists, including 4.28 million foreigners, up 18 percent and 23 percent respectively. The tourism sector pocketed over 17.88 trillion VND (786.9 million USD), up 30 percent compared to the previous year, and contributed 3.2 trillion VND (140.8 million USD) to the State budget, accounting for 11.9 percent of the local budget collection. The province is hosting the National Tourism Year 2018 themed “Ha Long-Heritage, Wonder, Friendly Destination”. In 2019, the annual ASEAN Tourism Forum (ATF 2019) is scheduled to take place in Quang Ninh from January 14-19 under the theme “ASEAN: The Power of One”. First launched in 1981 in Kuala Lumpur, Malaysia, ATF is the biggest annual and alternated event under the ASEAN tourism cooperation umbrella with a view to promoting the Association of Southeast Asian Nations (ASEAN) as one tourist destination. It involves all the tourism industry sectors of the 10 ASEAN member states, namely Brunei, Cambodia, Indonesia, Laos, Malaysia, Myanmar, the Philippines, Singapore, Thailand and Vietnam. The hosting of ATF in 2019 creates a golden opportunity for Vietnam in general and Quang Ninh in particular to promote tourism. A wide range of activities will be held as part of the forum such as formal meetings between officials of ASEAN National Tourism Organisation (NTO) and meetings between ASEAN tourism ministers and their counterparts from China, Japan, the Republic of Korea and India. Other events include association meetings involving ASEAN Tourism Association, Federation of ASEAN Travel Association, ASEAN Airlines Association, and ASEAN Hotel & Restaurant Association, exhibition and business appointments seeking to facilitate the trade of regional and individual tourism products of ASEAN member states, and a tourism conference. 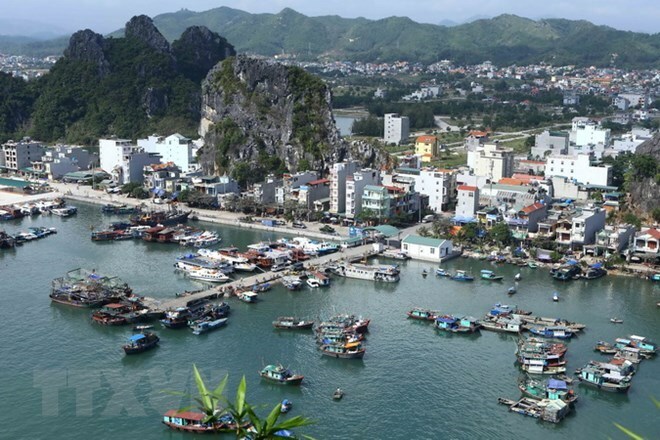 Implementing the Comprehensive Plan for Tourism Development in Quang Ninh, the province has been striving to become an international tourism centre and a leading tourism destination in Vietnam with modern infrastructure and diverse, high-quality and competitive tourism products. By 2020, Quang Ninh aims to welcome 15-16 million tourists, including 7 million foreigners, and rake in 30 trillion VND - 40 trillion VND (1.3 billion USD - 1.7 billion USD) in revenue. The tourism sector is expected to contribute 14-15 percent to the gross regional domestic product (GRDP). With a range of stunning landscapes, clear turquoise sea and spectacular limestone pillars together with numerous tourism investment projects, Quang Ninh boasts huge potential to develop tourism. The province has a coastline of more than 250 kilometres and over 2,000 islets, two-thirds of the total number in Vietnam. The spectacular stretch of coast connects the UNESCO-recognised World Heritage Site of Ha Long Bay with majestic natural scenery, Bai Tu Long Bay, Van Don and Co To islands and Tra Co beach with Cat Ba National Park in the northern port city of Hai Phong.